Kobo's Wireless eReader will be landing at 2,500 U.S. Walmart stores next week...and it'll be cheaper than the Nook or the Kindle. Walmart stores in the United States are picking up another eReader for the upcoming holiday season: starting next week, some 2,500 Walmart stores will be offering the Kobo Wireless eReader. The announcement comes just one day after Barnes & Noble announced the Nook would be going on sale at Walmart next week, but Kobo is promising to do one better by being the “opening price in the eReader category.” Although neither Kobo nor Walmart has announced pricing, that means Kobo plans to undercut every other ereader available at the discount retailer. The Kobo Wireless eReader will also be available at Borders bookstores throughout the Unites States; the deal builds on a distribution deal Kobo had in place with Walmart in Canada. 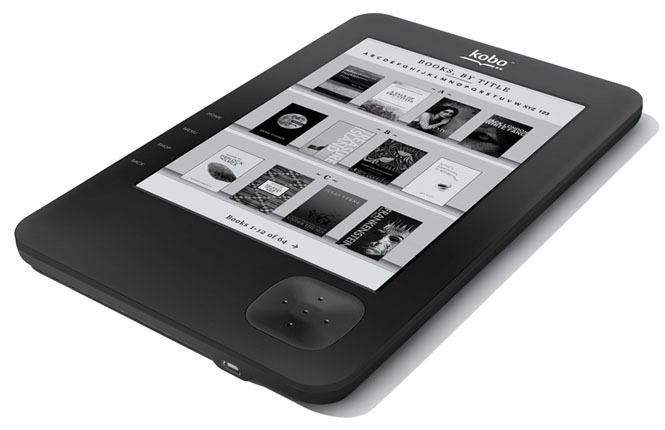 The Kobo Wireless eReader features a 6-inch E Ink display, integrated Wi-Fi wireless networking, USB connectivity, an SD slot that can handle up to 32 GB of removable storage, and supports ePub (with DRM), PDF, and Adobe DRM, so users can handle books from a variety of standards-based digital bookstores as well as Kobo’s own ebook ecosystem. The units ship with 100 free eBooks (classic public domain titles), and reader applications are available for smartphones, PCs, and Mac OS X so users can read at whatever device they like and sync their bookmarks. The Kobo Wireless eReader carries a suggested retail price of $139.